What Motivates Congo’s Wildlife Conservation Rangers? KINSHASA, Democratic Republic of Congo, January 22, 2019 (ENS) – Being a conservation ranger is one of the most difficult and dangerous jobs on Earth. Rangers risk their lives every day in the ongoing conflict with gangs of poachers over some of the rarest and most endangered animals. Front line conservation rangers working in challenging conditions at a national park in the eastern Democratic Republic of the Congo, DRC, lose their motivation over time, finds a new study from the New York-based Wildlife Conservation Society, WCS, that looks at ways to improve rangers’ job satisfaction. Until now, very little research has been conducted into the wellbeing of conservation rangers and staff, how motivated they are and what this might mean for the work they do. 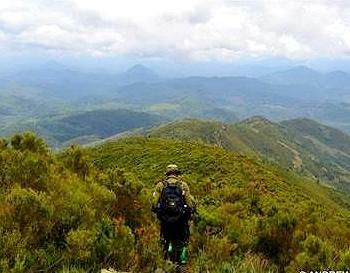 Kahuzi-Biega National Park, located in eastern DRC, near the western bank of Lake Kivu and the Rwandan border, was chosen as a case study to assess these aspects of the rangers’ lives. One-on-one interviews conducted for the study gave the park’s rangers a way to express why they became rangers, what they liked and disliked about their jobs, and what affected their motivation. The rangers surveyed had been working in the Park for 16 years on average. Most chose this occupation to earn a salary, to conserve wildlife or to serve their country. But at this point, the researchers found, overall job satisfaction is low. The study identifies ways to make the rangers more effective at enforcing the law. Rangers who are not motivated to do their jobs won’t be effective at protecting wildlife, and these rangers are entrusted with safeguarding endangered species such as the eastern lowland gorilla or Grauer’s gorilla, found only in this part of the world. “In order to keep park rangers motivated and satisfied, managers need to provide rangers with a salary that reflects the cost of living and the risks associated with the job, have more regular occurrences and opportunities to promote rangers, provide internal and external recognition for their work, positive performance incentives, and improved living conditions in remote patrol posts,” Spira explained. “Without a guarantee of security, rangers are unmotivated to conduct patrols and are less able to do their job effectively,” she said. 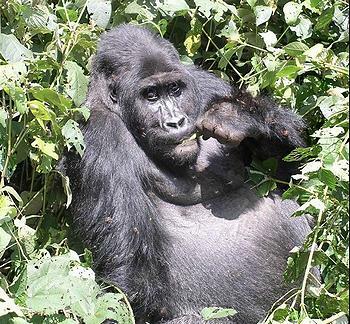 At the same time, wildlife conservation work in eastern DRC continues to be challenging. The region has a huge quantity of weapons in circulation left from the civil war that broke out in 1996. Ongoing conflicts involve a multitude of armed groups still active in the region – many within national parks. Rangers need to be adequately equipped and trained to deal with these situations effectively and responsibly. The rangers’ day-to-day patrol duties in national parks often lead to life-threatening situations during encounters with armed militias who are exploiting natural resources illegally. Wildlife offenders who are arrested and transferred to local courts are often freed after a short period of time, and sometimes retaliate against the rangers involved in their arrest. “The country’s judicial system needs to be improved to ensure offenders serve the time they are sentenced and get punished if they retaliate against rangers,” said Richard Tshombe, director for WCS’s Democratic Republic of Congo Program. The new study appears today in the journal “Oryx.” The authors are: Charlotte Spira and Andrew Kirkby of WCS, and Andrew Plumptre, formerly with WCS and now with Birdlife International. The Wildlife Conservation Society has worked in the DRC since the 1950s when Dr. George Schaller undertook the first studies of Mountain and Grauer’s gorillas in what are now known as Virunga and Kahuzi-Biega National Parks. Today, WCS supports the DRC Government in protecting Grauer’s gorillas, eastern chimpanzees, okapis, forest elephants and some of the most biodiverse forests on the continent in and around Kahuzi-Biega National Park, the Okapi Wildlife Reserve, and the Kabobo Natural Reserve.